All children under the age of 18 must be accompanied by an adult (parent, guardian or authorised guardian for stay). Groups will be split into the different dorms and rooms we have. 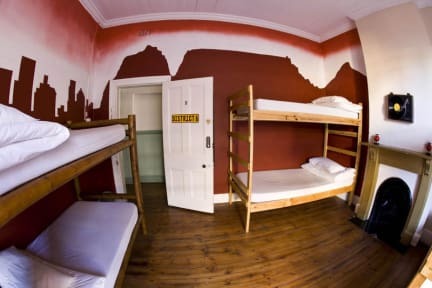 33 South is a 'Boutique Backpackers' - not only because of our individually themed rooms, percale linen and safe per person (the list continues... free breakfast... free internet! etc) - but also, because we care - and we want you to enjoy your stay in Cape Town. Our staff are here 24 hours a day to help you with questions, queries, tips. 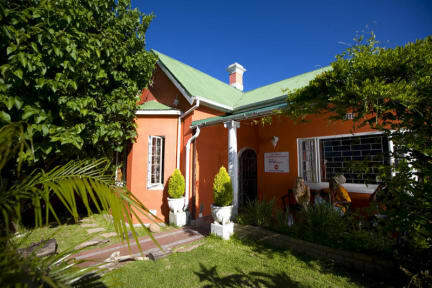 Observatory (Affectionately called 'OBS' by it's locals) is the student neighbourhood of Cape Town. It is characterized by cheap beer and good food topped off with an array of artists and musicians that leave you begging for more. It has been compared to Fitzroy in Melbourne, or Palermo in Buenos Aires. There are daily specials available - and you can discover OBS on our DAILY FREE TOUR! At the reception you'll not only find a selection of tours, activities and great music, but also insider-info on the best restaurants, surf spots, music festivals and loads of 'off-the-beaten-track' adventures. The 'Stoked School of Surf' is now operating from 33 South - beginners to advancxed will find their surfing legs with Michelle - our gorgeous in-house surf-coach extraordinaire! Comfortable beds and hot showers. Good on cleanliness, though sometimes the washrooms could be a bit neglected (mostly from other backpackers after using them). If you want to relive your university dorm days or you never had a chance to, then this is the place for you. Staff are friendly and attentive, but blast loud music unsparingly and have conversations at the top of their lungs, so if you're a light sleeper, sorry. They also are not always on the same page of your booking information.